In our well-equipped metal work shop we are able to produce all types of bespoke metalwork made to our customer’s specific requirements. 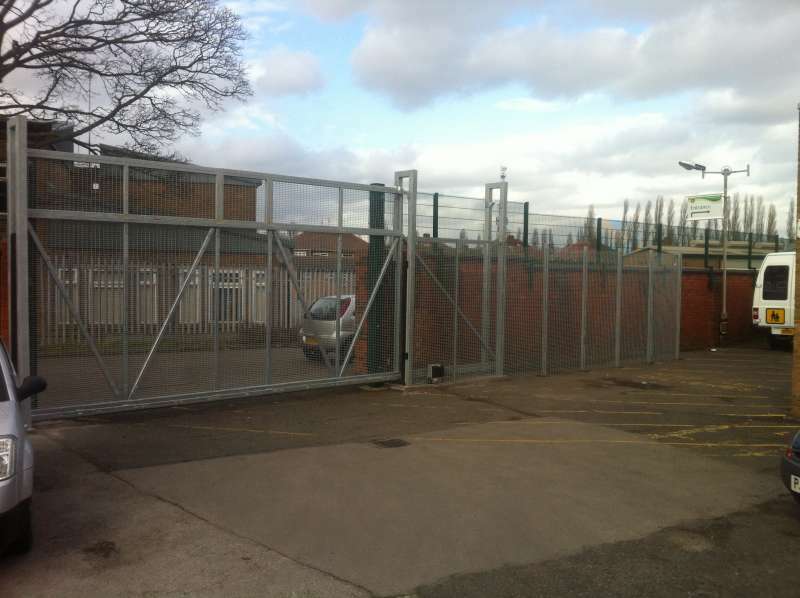 There are a variety of gates and barriers we manufacture for our customers. 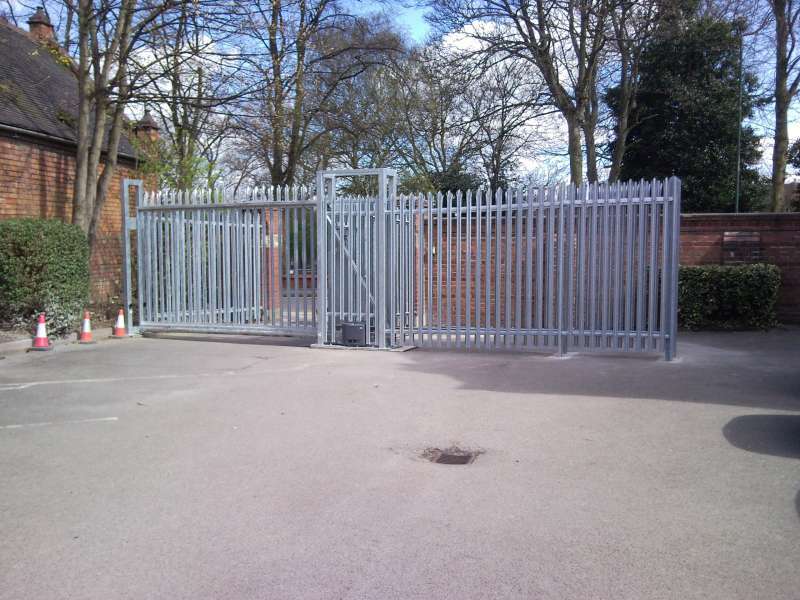 We can provide manual pedestrian gates to a large power operated sliding gates with any type of control system required. 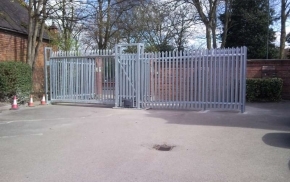 All our powered gate systems fully comply with the machinary directive 2006/42/EC and its related component parts. 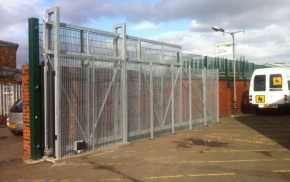 Purpose made security grills or bars can provide additional peace of mind when fitted over vulnerable windows. These grills can be finished galvanised or in a powder coated colour of your choice. We create steel doors that are suited for a variety of buildings. These doors are designed and installed with a variety of furniture to suit our customers requirements. Ideal for many security applications once closed, roller shutters provide another layer of protection to yourestablishment. All roller shutters are made to your specifications and can be finished in a powder coated colour of your choice. 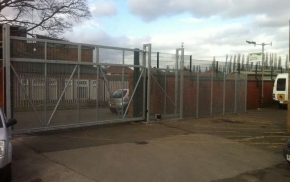 If you have special requirements, whether you need a particular shape of steel door or a certain type of roller shutter, we will ensure that you receive the type of product you need. We also offer various types of welding such as Stainless Steel, Cast Iron, Arc and Aluminium, therefore, we are able to cater to your specific requirements. 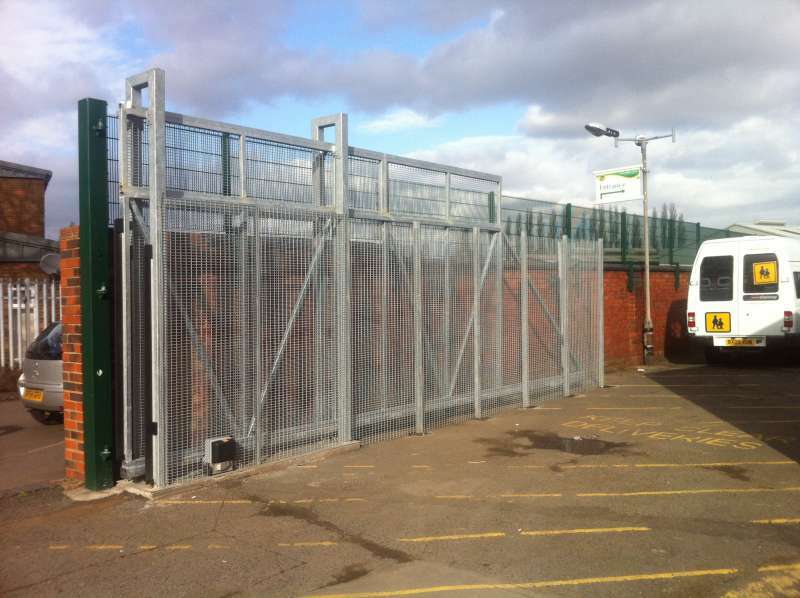 All of the steel work we produce is available in various finishes from galvanised, powder coated or untreated. We offer a bespoke manufacturing service at Dorwingear Ltd, if you are unable to find a product that suits your requirements then please contact a member of our team on 0121 359 1744 or you can email us here. Dorwingear Ltd is a successfull business which has been based in Birmingham for over 40 years. It is a family run firm which provides a high quality and professional service to regular and new customers. Thecompany is a manufacturing, installation and 24 hour maintenance service company for local and national customers. The companysupplies, fits and maintains doors and windows for commercial environments, which includes neccessary Health and Safety measures. Dorwingear Ltd takes pride in giving a consistently reliable and effective service.